love it & it's very personnel. says you took the time to make gift special. product is good. Already washed & ready to gift my precious grandbaby for Christmas Eve! I WOULD LIKE TO SEE MORE PRODUCTS LIKE THIS. I BOUGHT THIS FOR MY FIRST GREAT GRANDSON, AND MY GRANDDAUGHTER LOVED IT ON HIM. Material is good and size is right on. Bought one for each of my youngest great granddaughters with their name on it. Soooo cute and soooo warm. Beautiful. Both were personalized beautifully and was a perfect fit. Very beautiful. I have a newborn grandson and just wish I could have gotten it in a smaller size. I love snowflakes and it is for my Great Granddaughter!! I bought this outfit for my granddaughter to come home in from the hospital. I have a new 3 month old great granddaughter. Her name is different. This I can put her name on it.. Nesa'Ray. It’s cute and it’s personalized. I have a new great grandson that this sleeper is for, and it is cute - perfect for Christmas. Cute idea for my new great granddaughter. For our granddaughter for her birthday. I want to delete the sleeper i forgot to personalized and the on I personalized in cart ? 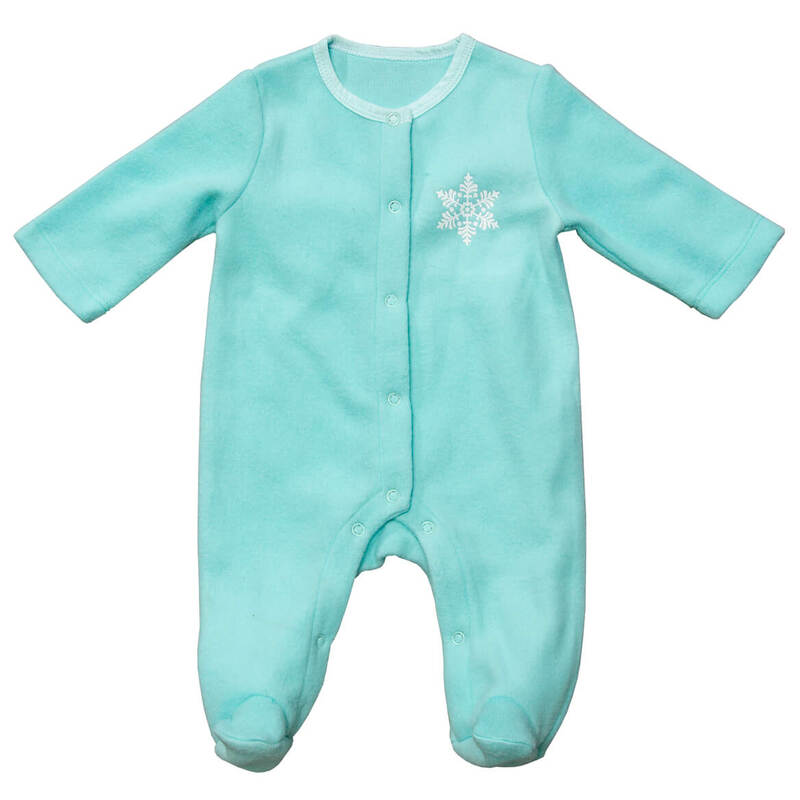 snowflake sleeper size 12 months . Does item fit true to size? BEST ANSWER: Thank you for your question. Yes, it fits true to size. We hope this information will be of help to you.